The grant provides financial support to help eligible indigenous new or existing businesses develop and grow. 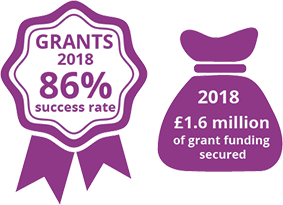 The Business Development Grant is a discretionary grant and can provide up to 45% of eligible expenditure to a maximum of £2,000. Grant assistance is available to cover up to 45% of projects. The business must be established in Caerphilly County Borough or the individual a resident of Caerphilly County Borough and setting the business up in the area. The business must be in manufacturing or service to the manufacturing sector or a minimum of 60% business to business (Customers must be other businesses as opposed to the general public). A business must be able to demonstrate a need for the grant and how it will improve the business. This may include the creation of new jobs, value for money, adoption of environmental management systems or significant private sector investment.